The Global Coherence Initiative: Where Science Meets Spirituality | Ascension 360º - Navigating the New World Energies! Hillary Welcomes HeartMath Co-Founder and New Intelligence Pioneer Howard Martin to Discuss His Groundbreaking Project to Heal the World with Heart! Millions of people sense that this is an extraordinary time; that a paradigm shift of human consciousness is now under way; that we are at the crossroads of change and must move toward the healing of ourselves and our planet. Many people are feeling a strong desire to help change our present and future conditions and are looking for ways to use their heart, spirit-aligned wisdom and care to make a meaningful difference. Thus the Global Coherence Initiative (GCI) was born. The Global Coherence Initiative is a science-based, co-creative project to unite people in heart-focused care and intention, to facilitate the shift in global consciousness from instability and discord to balance, cooperation and enduring peace. Join Hillary as she engages in a dynamic and powerful dialogue with Howard Martin, lead committee member, spokesperson and key player in the launch of this exciting and history-making Initiative. Hillary and Howard will discuss GCI’s cutting-edge scientific research, use of advanced sensing technology to test how the earth’s geomagnetic field is affected by mass human emotion and the heart’s role in accessing what Howard calls “a new intelligence.” Howard will also share how you can participate in this project and learn to increase your own individual heart coherence, easing personal stress, while joining with others around the world in radiating the frequencies of well being and love to enhance the impact of our collective efforts toward positive planetary change. 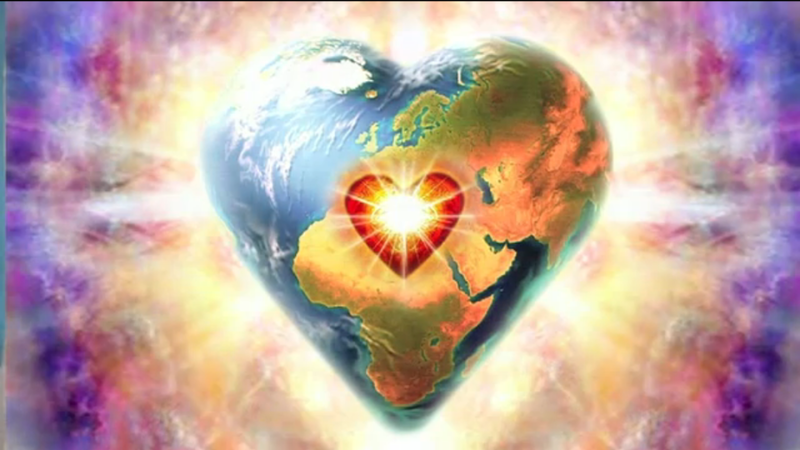 So tune in for a vibrational tune UP of a whole new heart-centered magnitude! Author, Business Executive and Speaker, Howard Martin was one of the original board members helping to launch the Global Coherence Initiative (GCI). He has served as a Steering Committee Member and spokesperson for GCI since its inception in 2008. Howard is also the executive vice president for strategic development and a co-founder of HeartMath LLC. He has been with HeartMath’s worldwide training and consulting team since 1991 and in 1999 co-authored The HeartMath Solution with Doc Childre.